Are you adventurous? Aren’t… but wanna be? Electric bikes are a blast, pure and simple. You don’t need to be over 80 to justify one; they are for anyone: young, old, limited mobility/endurance, or not… An e-bike casts no judgement on your reason for riding one. They are fun, still get you fit, and help you explore more, further, faster. What’s not to like?! Fully trained and certified with the best-known Bosch, and Shimano STePS mid-drive systems, our bikes will give you freedom, and guaranteed smiles. We can diagnose and sort out any issues with the systems, unlike cheaper plug-n-play ones that have no diagnostic capabilities. 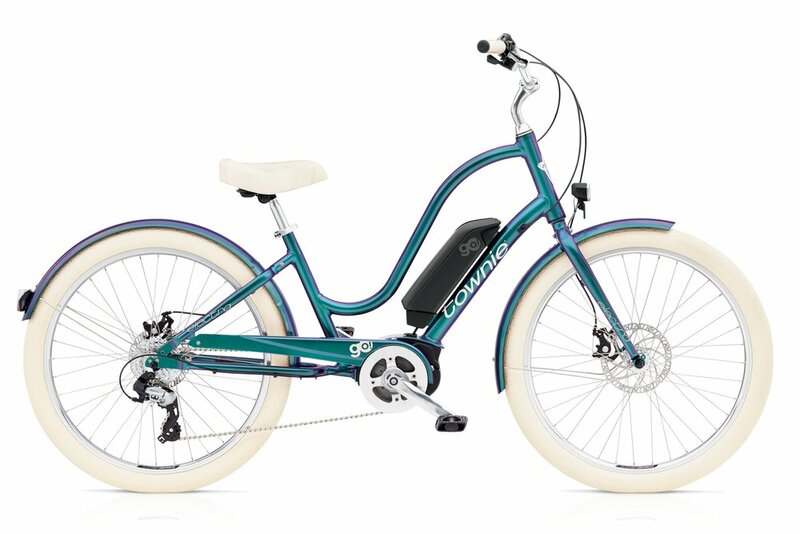 We carry Marin, Cannondale, Electra, Yuba & iZip e-bikes. Come check us out, and take one out for a spin! We also have some to rent for longer playing. We can also source a great, retro-fit kit for your existing bicycle.